Bryan Nellis passed away on October 13, 2015, while under the wonderful care of the staff at Mission Terrace. He was 69. Bryan was born on March 18, 1946, in Winnipeg, Manitoba to Cliff D. and Olga (Swystun) Nellis. The family moved to Vancouver, British Columbia when Bryan was an infant. In Vancouver, his parents ran a hotel and coffee shop. The three moved to California where Bryan attended local schools in Ontario. 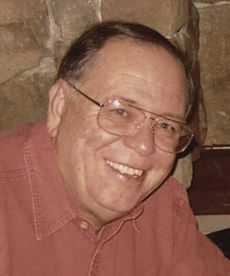 He graduated in 1964 from Chaffey High School where he met the love of his life, Michel Cooper, in junior year English. He attended UCLA, marrying Michel during their junior year. Their two children were born in Los Angeles. He earned his MBA at CSU, Los Angeles while also working as a crime analyst for the Los Angeles Police Department in the Hollywood Division. In 1972, the young family moved to Santa Barbara. A year later, he was hired as controller for the Montecito-based architectural products firm, Forms and Surfaces, later becoming the CFO and briefly the CEO of the company. After 14 years, he left Forms and Surfaces, became an Enrolled Agent, and operated the successful tax practice, NELLIS Associates. He was a loving husband and a compassionate father who took his role as a parent to heart. He was the inaugural president of the newly formed El Camino PTA, served on an advisory committee for the Goleta School District, and participated with his children in both Indian Maidens and Indian Guides through the YMCA. When they reached driving age, he relished teaching them to drive a stick shift, and change a spark plug and a tire. He volunteered at the Goleta Valley Library listening to children describe the books they read as part of the summer literary program. He was an active member of his neighborhood’s architectural review board. He was also very supportive of his wife’s community and global volunteer commitments. Bryan was an amateur carpenter, creating incredible projects around the family home. He and Michel loved to entertain, with Bryan supplying the jokes and occasionally the music on his accordion. The couple traveled much of the world together, discovering canal and river boating in Europe and upstate New York – he the captain, she the crew. Bryan is survived by his wife, and his children, Ann Opara of Oakland, and Doug (Susan) of Seattle, along with his mother, Olga, formerly of Carpinteria. He was predeceased by his father, Cliff, in 1989. A tribute to Bryan will be held Saturday, December 5 at 1:30 p.m. at Glen Annie Golf Club. In lieu of flowers, donations can be made to the Friends of the Goleta Library, the Animal Shelter Assistance Program (ASAP), or your favorite charity.